This video interview of the Jordan weight loss surgeon talks about the gastric balloon surgery. It is a non-surgical procedure, carried out endoscopically by inserting an inflatable balloon through oesophagus into the stomach. The balloon is inflated with saline causing it to swell, occupying enough volume of the stomach. It gives a sensation of satiety to the person reducing the ability to intake large volumes of food. “Intragastric balloon is a non-surgical option for weight loss. It’s done through endoscopy, basically placing the balloon that takes a good sized portion of the stomach volume and reduces the amount of food that you eat and it’s taken out after six months so it’s almost like 4-6 months diet. The one piece of operation I would not advise to have a balloon is that those patients who have severe heart burn reflux because it’s going to make it much worse and it does not have a great outcome in the mobility of these patients population. Weight loss surgeries like gastric ballooning, lap band, gastric sleeve, or gastric bypass in Jordan are available at a fraction of their price in the West. Those looking for an affordable bariatric surgery may consider Amman, Jordan for quality healthcare services. 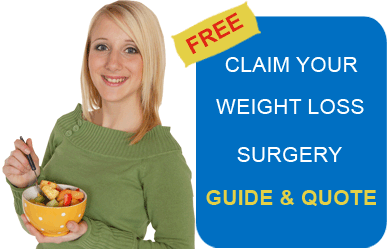 Submit the free request quote form on the right for more information on gastric balloon surgery, Jordan.